The asset comment is easy to relate to in the truckload world because a motor carrier owns all the assets used in its service from origin-to-destination, while an intermodal service provider does not. An intermodal freight move includes the following assets: train, locomotive, well car, rail tracks, intermodal ramp, train crew, freight tractor, chassis and truck driver. 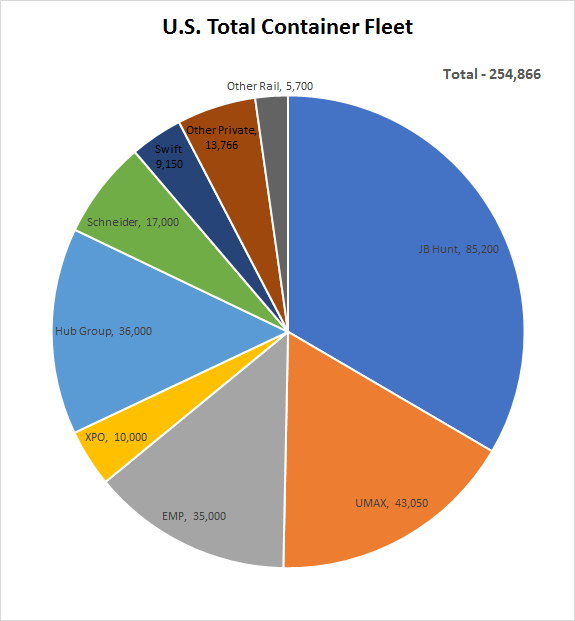 As we break the asset segments down later in the article, you’ll see there is not a single intermodal service provider that owns 100% of the assets, which speaks to the difficulty and confusion of calling out an asset intermodal provider in the same way as calling out a motor carrier as an asset provider. Since it is not as easy to describe the asset concept so succinctly in the 53’ intermodal transportation segment–and this is causing countless shippers to miss out on a tremendous amount of capacity and price opportunities in their freight and logistics strategies–we focus this article on what asset and non-asset means in the intermodal transportation market. The 53’ intermodal market is comprised of various types of intermodal providers: bi-modal, asset-lite, non-asset, rail retailers and freight brokers. In other words, intermodal is not asset versus non-asset as can be found in the truckload market. With that said, we're here to shout from the rooftop that a true intermodal service provider, as market insiders call intermodal marketing companies (IMC’s), are not "just another broker" moving another company's assets, but an advocate for the class I railroads utilizing their assets to drive value in a company’s logistics and supply chain strategy. Before going any further, we need to define what an intermodal marketing company is and the value they bring in today’s intermodal market. An IMC purchases rail and truck transportation services, utilizes equipment from multiple sources, and provides other value-added services under a single intermodal freight bill to the ultimate shipper. 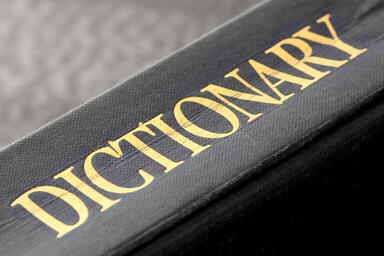 You are not alone if the above definition confused you more, but be patient as we continue to unpack the topic. IMC's were created as a by-product of the railroads' decision, during the development of the intermodal servicer to not to sell direct to the retail BCO (beneficial cargo owners, meaning those that hold title to the product) shippers' market. Railroads chose, instead, to sell wholesale to IMC's that would perform the sales and marketing for their intermodal service. Perform all operational work needed by the shipper, including securing the container, dray capacity, routing and track-and trace through delivery. This process looks exactly like a brokered truckload move to shippers, which is what drives the confusion between an IMC and freight broker. For clarification, the IMC works directly with the class I railroads and has the full faith and backing of the railroads' resources, while a freight broker is working with IMC's. Provide a layer of customer service support and reporting shippers are accustomed to receiving from their other freight purchases. 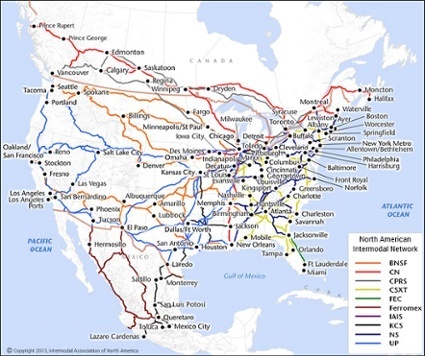 Give shippers a one call access to all West and East Coast intermodal origin and destination combinations, since there is no single railroad that covers all the North American intermodal ramps. The railroad IMC model allows railroads to focus on what they are great at, which is running a railroad, while the IMC can focus on its strengths of service, communication, reporting, etc., but with the one flaw that some shippers have come to believe an IMC is "just a broker" without assets because the operational aspect of an IMC appears very much like tendering a load like a truckload broker. IMC's can appear to be "small", as compared to the 800 pound gorillas, in the intermodal space because of the marketing punch and the number of IMC's in existence. With that said though, consider the resources behind the IMC's that sell the railroad's container capacity and you will find the “small” comment not based on fact. Next up for discussion is a walk through of what classifies an asset and non-asset IMC, then the advantages and disadvantageous of both. The asset IMC’s, better known as bi-modals in the intermodal market, own containers, chassis and the majority of their dray capacity in tractors and drivers. The bi-modals do not own the trains, rails, intermodal ramps or employ the railroad team, as these are owned 100% by the class I railroads. When discussing the asset truckload intermodal carriers, JB Hunt comes to mind as the dominant player in this segment. The bi-modals own the vast majority of their dray capacity, while during peak times they often outsourced a portion of this work to other companies. The bi-modal intermodal service providers often use one West Coast and one East Coast railroad for the economies they can gain in scale. A segment that could be added within the bi-modal intermodal model, although shrinking, is the TOFC (trailer on flat car) service. This segment of intermodal service continues to decrease because of the economies gained through double stacking the COFC containers on a flatcar that cannot be had with a TOFC solution. 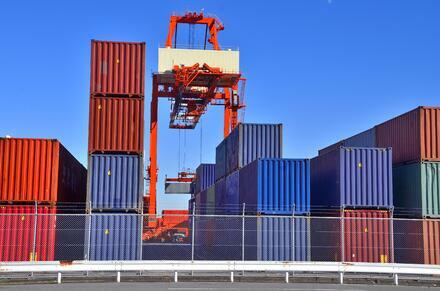 The next segment of intermodal freight service providers includes what we call asset-lite IMC’s. Examples of companies in this segment include XPO and the Hub Group. The asset-lite IMC providers owns COFC boxes and a portion of their drayage. While this intermodal segment owns COFC boxes and a portion of their dray, they also dip into the railroad owned equipment and service when their customers’ volumes dictate on lanes they do not have enough company owned capacity. 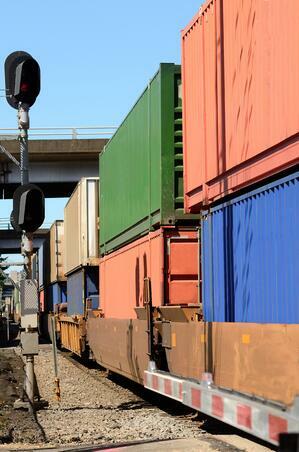 The non-asset intermodal IMC providers do not own COFC boxes or dray assets. 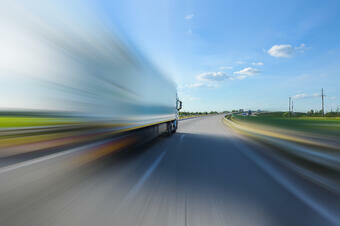 An example of a company that falls into this category of intermodal service provider is InTek Freight & Logistics. Some IMC’s in this segment often buy a few intermodal containers to tell potential shippers that they are asset based, but all we want to say about this is don’t buy the hype as they are utilizing the equipment of others for the majority of their intermodal service. Like bi-modals and asset-lite IMC’s, non-asset IMC’s work directly with the railroads on either ramp-to-ramp or door-to-door services. The non-asset ramp-to-ramp IMC providers assemble a door-to-door service through their own outsourced dray relationships, while other IMC’s in this segment use the railroads’ door-to-door service divisions to leverage the railroads’ dray buying power and influence to deliver their door-to-door solution to customers. Before moving to the next topic, the point that cannot be missed is a non-asset or asset-lite IMC is the sales and marketing arm for the class I railroads, so do not think of them as “freight brokers.” Recall the earlier section that defined intermodal service IMC’s. Another segment of the intermodal market is the railroads selling retail direct to shippers. There are two companies in this segment and they are both Canadian based: CN and CP. 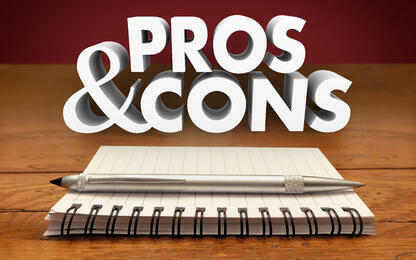 These two company solutions are the only railroads that go direct to shippers. The intermodal service is great, but shippers not accustomed to running intermodal may find it hard to work the rail retailers through their business needs because the sales and customer service support is not what customers have come accustomed to through the IMC model. 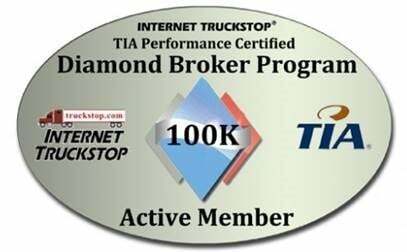 The last segment of the intermodal service providers are freight brokers. In this segment, brokers do not have a direct relationship with all the railroads, but instead utilize the services of all the intermodal service provider segments to deliver their market solution. The key point to make is all intermodal service solutions have their advantages and it is up to the shipper to determine what is the best fit for them. In the asset truckload intermodal segment, there are tremendous synergies the likes of JB Hunt can utilize internally, which translates very well to their customer base for particular lanes. This group also has the option to run some unconventional door-to-door intermodal lanes by balancing their truckload lane capacity. 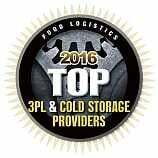 The companies in this segment also have the advantage of leveraging their brands into the intermodal market. The downside is they are limited to their company owned capacity and to the two railroads they work with. This downside means that these providers do not have the option to hit every origin and destination ramp combination, which can be limiting for some shippers. As an example, if a shipper has freight moving to Phoenix, they are better off to be working with an IMC that is connected with BNSF because their intermodal ramp is based in the city, while the other west coast railroad has their ramp in Tucson making the dray cost much more expensive for the pick-up or delivery. A point that continues to play out with bi-modals is if there is a lane in their network that they want, they will get it if the only decision is price because their pricing teams are focused on turns and volumes in a way to beat out all competitors. The asset-lite IMC’s also have their niche. Like asset truckload intermodal carriers, they too run some non-standard intermodal lanes. Intermodal providers in this category do have the advantage of tapping into the railroads’ owned COFC equipment pool and the 40’ and 20’ foot ocean container market for additional capacity. The non-asset IMC’s have the advantage of the being able to tap into all the various railroad owned COFC boxes, along with tapping into the asset IMC’s, asset-lite IMC’s, private box owners, and truckload carriers (for trailers when capacity is extremely tight. The non-asset model provides the most options and gives a customer a one-stop relationship for their intermodal requirements. Asset IMC's market that having assets bring accountability and reliability that cannot be delivered via a non-asset intermodal IMC. While asset ownership is an aspect that differentiates IMC’s, this element is not the only deciding factor on which to select an IMC. There are six US class I freight railroad companies. Canada has two class I freight railroads, both of which have trackage in the US. Mexico has two class I freight railroads, one with trackage in the US. What this all means is the long-haul portion of the intermodal move will be done on the same train, whether a shipper uses an asset or non-asset IMC. This fact is also why IMC’s ask for the BCO (beneficial cargo owner). They ask the question because they do not want to be competing against themselves when bidding potential new business. 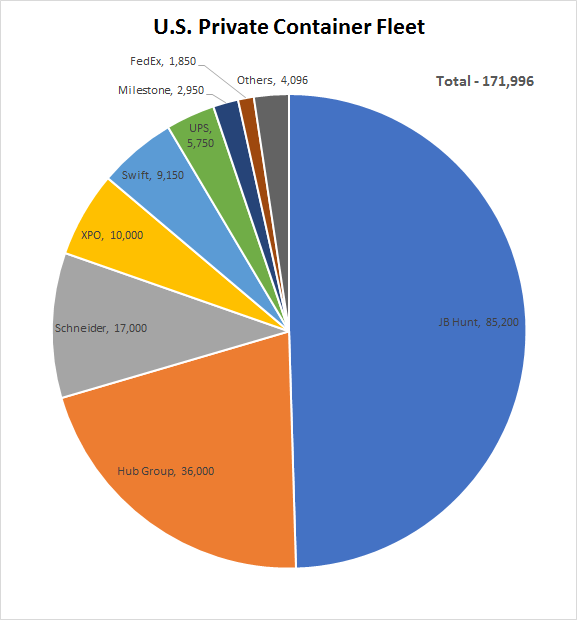 Non-asset IMC's have more access to assets than an asset intermodal provider because they tap into several container providers, where assets tap only their asset container pool. Non-asset IMC use primarily intermodal containers owned by the class I railroad, private box owners and bi-modals. Also, the thing to think about when it comes to an asset based IMC's is their concern with container turns. If the shipper has volume on "their" lanes, an asset IMC will do a tremendous job and may have an edge for the shipper. However, if the shipper is moving on lanes not important to the asset IMC or asking for more specialized services that slow container turns, there is an opportunity for less than desired results and be a lane a non-asset IMC will perform at a higher level. Marketing coming from an asset IMC’s often pushes the thought that full door-to-door assets provide a higher level of service than that of a non-asset IMC because they can control more because they own assets. This thought on owning assets does not hold water because asset ownership relates to intermodal containers and dray, but not necessarily all dray. With that in mind, asset IMC's do not own the rail, they do not have full asset control through the entire door-to-door intermodal service. Origin and destination dray is where 90% of failures occur, so it is important to understand how the IMC manages and owns the dray process. From our perspective, the closest group having the greatest asset control is through the class I railroads' door-to-door service model delivered through non-asset IMC's. Under this model, the railroads own the locomotives, the tracks, the ramps, and the people that operate them, plus they own the containers and have direct relationships and EDI connections with contracted draymen. Here is the magical secret for intermodal and its success: The class I railroads have consistent and reliable ramp-to-ramp KPI's, so the most likely place for service failure is either on the origin or destination dray. The IMC with the best railroad ramp process will deliver the superior service. With that said, a good non-asset IMC using the railroads' door-to-door service has the potential to consistently deliver the best service. Asset IMC's communicate they have committed on-site representation and priority rail transit. Well, here is another place where marketing got ahead of itself. Both asset and non-asset IMC's have railroad representation and guaranteed transits. It is true there are freight brokers purchasing intermodal capacity through both asset and non-asset IMC's that do not have direct railroad relationships, but a true IMC has direct relationships with the railroads. The take-away here is the shipper needs to ask their intermodal provider whether they have direct relationships with the railroads. Again, asset IMC's marketers would like shippers to believe something that is not true. These marketing groups tell shippers that since a non-asset IMC does not take a position with capital investment in equipment they do not have skin in the game. While there may be greater risk on the balance sheet with assets, this does not mean the non-asset intermodal provider does not have skin in the game. Every company has skin in the game to meet financial targets, whether to banks, owners or public shareholders. In the non-asset IMC, they invest heavily in their TMS (transportation management system) to manage the service process and communication with its customers and the railroads. In other words, both the asset or non-asset model has a financial responsibility to deliver the income and cash flows necessary to be a concern. 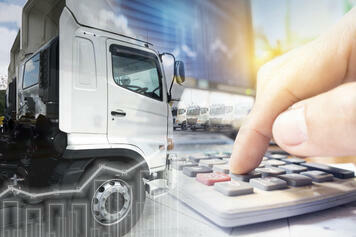 The difference is how the IMC goes about delivering the financial results with superior service for their shippers. While one model believes leveraging their balance sheet with assets will deliver the best internal and external results, the other does not. Neither model is right or wrong, just different. Whether asset or non-asset based, experience varies widely within the intermodal market. This is something every shipper will have to evaluate as they go through their selection process to ensure they are comfortable with the experience and capabilities of the IMC they choose. To summarize, service is the critical differentiating factor for an IMC. With only nine North American railroads, every IMC is using the same railroad for their long-haul, whether asset or non-asset based. Dray and communication are the linchpins in any intermodal shipment process, and this is where the evaluation starts, although we understand the IMC needs to be relevant on price before they can discuss service. The point to shippers is to put sunglasses on before running toward the shiny penny and look to how the IMC delivers its intermodal service. To continue, contrary to the marketing material coming from asset intermodal service providers, asset versus non-asset intermodal transportation services providers cannot be delineated in the same way as asset and non-asset truckload providers can be viewed in the OTR market. The asset intermodal service providers work hard at planting the "freight broker" seed that cause some shippers to shy away from working with non-asset truckload providers, so look to the merits of the IMC you are talking with so you do not miss out on tremendous savings and service for your supply chain. The good news is shippers have a number of great asset and non-asset IMC options to choose from as they implement their intermodal strategy. The solution can be the best of breed solution or they can go with a single type of intermodal solution. There are exceptions to every rule, but what we tend to find is the bigger shippers go with a best of breed solution of asset truckload intermodal diversifying across both asset and non-asset IMC’s, while the smaller to medium size companies choose the non-asset IMC’s for simplicity of being able to call one provider for all their intermodal needs. Either way, there are plenty of options to transition truckload lanes over 700 miles into a money saving, capacity rich 53’ domestic intermodal solution. As you work through your search on the best IMC for your business, please don’t hesitate to reach out to InTek. We’ve been able to help hundreds of shippers in adding additional intermodal capacity or transition over truckload lanes to intermodal for both cost and capacity benefits. Below are the top 5 most popular articles that have been read by our customers today to get them into the intermodal market successfully. To learn more on how intermodal transportation can be a part of your freight transportation strategy, visit the InTek Freight & Logistics or read InTek Intermodal Blogs. Another great resource to find out more about the intermodal market, visit the Intermodal Association of North America website. IANA is North America's leading industry trade association representing the combined interests of the intermodal freight industry. Also, for more on the topic Intermodal Marketing Companies (IMC's) for Beginners is a quick read for more information on the topic. Rick is the co-founder and CEO of InTek Freight & Logistics, a company focused on being the place where companies come when faced with a logistics problem.